Beautiful stamps and a stunning card! I would have opened that package as soon as possible if it were in my mailbox. Enjoy your new pretties and thanks for sharing at Jo's Scrap Shack! 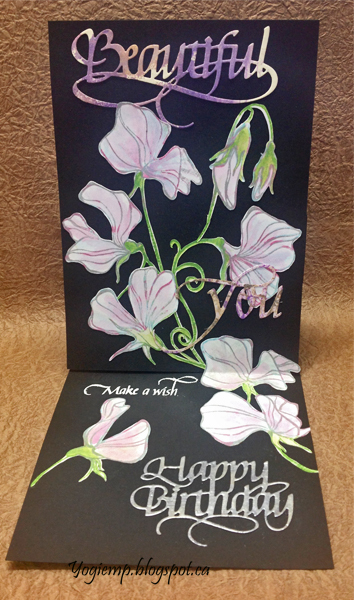 These are some gorgeous Sweet Peas and I love how you have them growing up your card! 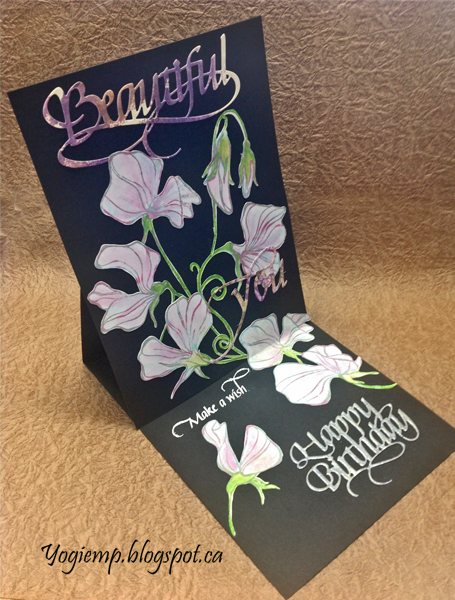 "Beautiful" is quite the right die cut word to use with them! Another fantastic card, love me the flowers so very pretty. Thanks for playing our twist challenge at 4 Crafty Chicks.